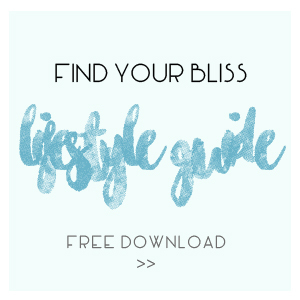 Welcome to Bliss Active my holistic home to guide you to a healthier and happier you. I am Natalie Sanderson, Diamond Leader with Doterra Essential Oils, Personal Trainer and Pilates Instructor. 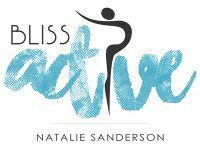 Bliss Active was established in 2010, just three months after giving birth to my beautiful second child. My need to step back from my hectic career and traveling lifestyle where I was working long hours in a demanding marketing manager role. I knew this wasn’t the lifestyle I wanted for myself and my new family, so I chose to reset, create new dreams and live my life the Bliss Active way. My vision is to help others chase their dreams and have a holistic approach to their mind, body, family, and work. Over the years I have had the pleasure of helping thousands of people achieve their health goals through Pilates, fitness classes and boot camp challenges. My passion for aromatherapy and wholesome nutrition has also helped me educate clients along their personal journey…for a better life. If you are keen to start using Dōterra Oils let me guide you on your journey to get the most out of them! Click “Wholesale Customer” to nab yourselves the best price to buy essential oils and option to pick up free product every month! Or if you’d like to share with friends or build your business click on “Wellness Advocate” so you can enjoy the same special prices and promotions plus start replacing your income. Put in your contact details, under enroller it should have my ID: 3142540 I’m excited to help guid you along your wellness journey to answer all your qs, provide you with some personalised blends and suggestions, plus gift you a special welcome pack. And if you like can mentor you through the amazing business opportunity too. Add the items to your order you’d like to get started with. Most people choose one of the enrolment kits – the “Home Essentials” being most popular with top 10 key oils plus a diffuser. This is where I started. Check out the enrolment kits here. Or you can select individual oils you’re interested in. Look forward to your purple box delivery and I will be in touch to help you with your Lifestyle overview.